There’s no article of clothing more important when traveling than a comfortable and high quality underwear. There are tons of companies which make performance underwear for travelers, such as ExOfficio, however one notable newcomer is Maqoo. Maqoo, a premium underwear brand, has launched its first product through Kickstarter like many other companies. 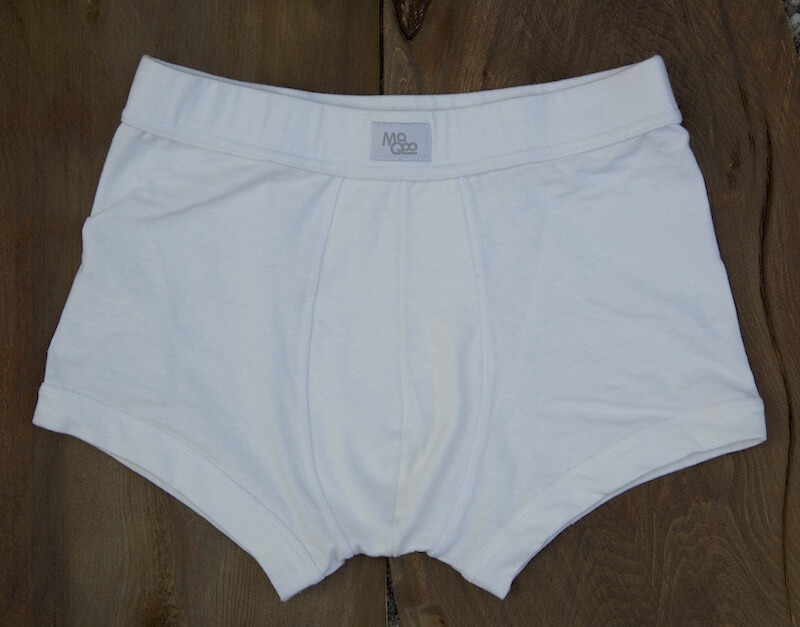 Their Kickstarter project was for a linen underwear, a men’s underwear for whatever life throws at you. For this review, I’ve been testing a pre-manufacturing prototype. The underwear for Kickstarter backers and future purchasers will be the final version, which is identical to the prototype, except 1 extra centimeter longer on the legs. The moment I took the Maqoo underwear out of its packaging and drawstring pouch, I was taken back by its weight. The underwear is made of a surprisingly dense and heavy material, much heavier than my other underwear. Although this is an uncommon way to describe underwear, this one from Maqoo feels substantial. The second thing that immediately came to my attention was the texture. Being made of a linen blend, the Maqoo underwear has an almost silky feel. That was a big change from my normal polyester underwear. 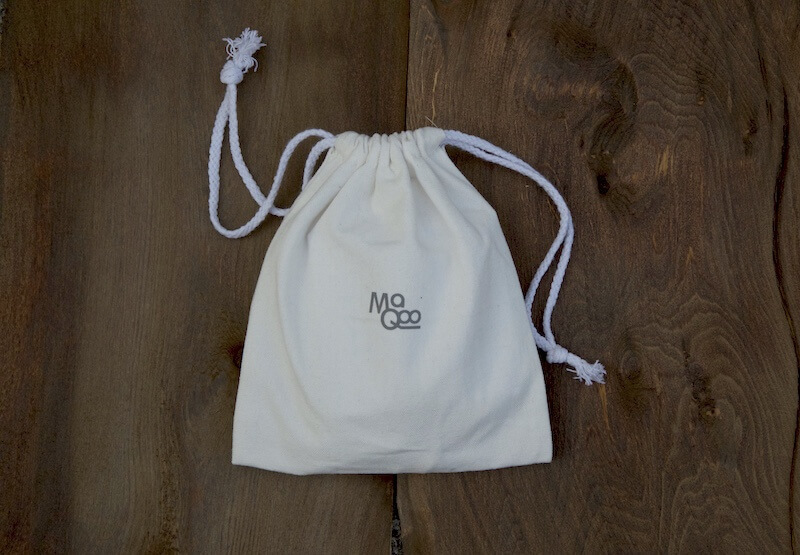 The Maqoo underwear comes in a linen drawstring pouch. While that doesn’t make the underwear any more comfortable, the packaging does scream “premium”. It made a pretty good first impression. As for the underwear itself, it’s made of 81% linen, 16% nylon and 3% spandex. The underwear feels soft, durable and has some stretch, making it comfortable for extended periods of wear. This is because its fibers are heat conductive. Just like a radiator dissipates heat from a car engine, Maqoo underwear will dissipate that excess heat from your body. To test out the cooling and moisture wicking features, I did a 6 mile run with the Maqoo underwear on. I’ve noticed that the Maqoo underwear isn’t “cool” in the traditional sense. The Maqoo underwear is cool because the linen material is cool to the touch. However the underwear thick and not the best at moisture wicking. A few miles into my run, I could feel that the underwear was absorbing sweat and holding on to it, making the underwear stick to my body. The underwear’s moisture wicking qualities are comparable to those of cotton. With that said, I would not wear the Maqoo underwear for intense exercise, however for everyday life and traveling, the Maqoo underwear is well suited. The waistband of the Maqoo underwear is a lot thicker and wider than your average underwear making it even more comfortable. Also, the underwear fits very well and doesn’t ride up. You can read more about the design process of this underwear here. One aspect which may turn potential buyers off is the price point of the Maqoo underwear. At retail $45 per underwear, it costs a lot more than your average underwear. I expect the Maqoo underwear to last a long time, and if you’re looking for a premium underwear, the underwear from Maqoo is a good option. I’ve hand washed my Maqoo underwear a couple of times and have seen that underwear takes a long time to air dry. This could be is a setback for travelers who want to hand wash their underwear while on the go. Also, if you’re an ultra-light traveler and are into ounce counting, you might want to keep in mind that the Maqoo underwear is heavier than your average underwear. Designed in Sweden and manufactured in Vietnam, the Maqoo underwear is sure to keep you comfortable during long international flights, hikes or day tours. It’s a well designed underwear made of high quality materials, although at a steep price point for some. Have any questions or comments about the Maqoo Underwear? Leave your comment below. The Maqoo Underwear was provided for this review. As always, this Maqoo Underwear review contains only my honest views and opinions.